These are known as blackheads to small pimples that appear in the epidermis because of blockages in the pores caused by an excess of sebum and, at the same time, by not performing a regular exfoliation. This alteration is frequent in various parts of the body, among which is the back, which although many may not bother to be in this place, when starting to heat is very likely to become uncomfortable, so it is important to go to a professional and perform the treatment. If you are one of those who are suffering from this skin disorder and do not know much about it, we invite you to continue reading the following article about pimples on the back: why they come out and how to eliminate them. The causes of pimples and acne anywhere on the body are usually the same. During adolescence, acne is very common; in fact, there are very few people who do not suffer this alteration during puberty. This is because the sexual organs produce more hormones than normal to stimulate the development, reason why at the same time it increases the existing sebum in the skin. Then, the excess of fat joins different bacteria and, in this way, it generates the inflammation in the skin that is known as pimple, acne or blackheads. In spite of this, this alteration can also be suffered by not carrying out an adequate hygiene and using certain fabrics garments that can impede the respiration of the skin causing the sweat to accumulate and join with the sebum, generating the obstruction of the pores. Another of the most common causes of the appearance of pimples on the back is the consumption of certain drugs or supplements that have among their ingredients hormones, such as testosterone or steroids, which could help the appearance of pimples and acne. Although it is more common in adolescents, anyone can have pimples on the back and may be due to hormonal changes, emotional imbalance, constant stress, lack of sleep, wearing tight clothes or excessive sweating. Although all the detailed causes are from the same organism, there may be certain external reasons that cause the appearance of this alteration in the skin. Some common examples are the pimples that appear by friction, that is to say, a permanent friction, like that of a backpack or to use leagues to exercise. It is also important to change towels and sheets as usual, since they are in contact with the skin on a daily basis and can have numerous bacteria. Also, it is recommended to maintain a healthy diet and stay away from certain foods that could worsen pimples. At the same time, it is essential to eliminate the habit of trying to burst the pimples or get rid of pimples because this can considerably worsen the appearance of pimples. When going to a specialist dermatologist, an evaluation will be made on the skin of each patient and where the pimples are located. It is possible that the specialist recommends a treatment with gels and creams that are suitable for pimples on the back, which, generally, are those that contain sulfur, benzoyl peroxide, resorcinol, salicylic acid, among other substances, and supplement it with medication oral drugs such as antibiotics, antiandrogens or isotretinoin when the affectation by pimples is serious and does not respond to treatment. The doctor will recommend eating foods that are rich in zinc, although you can also choose to use creams that contain it, as it helps significantly improve skin health. Do not expose yourself to the sun excessively. Reduce or eliminate the use of creams and oily products for the body. Keep the skin moist with products that do not encourage the presence of comedones. Wear loose and clean clothes. Wash towels and sheets frequently. Do not wear tight clothes and backpacks. Oats: Mix 5 tablespoons of oatmeal flakes, 1 teaspoon of neutral soap or liquid glycerin, 2 tablespoons of water and 3 teaspoons of milk to make a paste. Then, wet a brush with the mixture with warm water and rub down the back with gentle movements to repeat it twice a week during the bath. 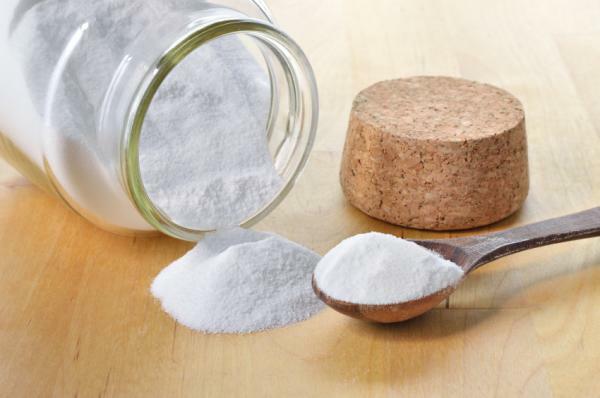 Baking soda and lemon: Mix 4 tablespoons of baking soda, one lemon juice, 1 teaspoon of liquid neutral soap and 4 tablespoons of water until all the components are mixed. Then, apply by rubbing back with circular movements but without exerting so much pressure. Let it stand in the area for a few minutes and wash with warm or hot water. Aloe vera: The gel that contains the aloe leaf is ideal for skin care, so it is recommended to place this gel on the back and let it act until it dries. This process must be repeated at least three times a week, although they can be repeated and even repeated twice a day. Apple cider vinegar: The apple cider vinegar is one of the best existing natural products to treat pimple and reduce pimples. On the one hand, it helps eliminate bacteria and prevents infections by balancing the pH of the skin. On the other hand, it is an excellent astringent, since it contains malic and lactic acid, which allows exfoliating the skin, eliminate dead cells and leave it free of impurities. The best way to use it is as a tonic and for this, first you should wash the area very well with water and soap appropriate to the condition of your skin. Next, dilute 1 part of apple cider vinegar in 3 parts of water and apply the mixture on the area to be treated with the help of a cotton disc. Leave on for 20 minutes and remove with plenty of water. You can also get this treatment before you go to sleep and let it take effect throughout the night. Green tea: The green tea has become a very popular drink because of its high content of antioxidants, which is ideal to maintain healthy body and in perfect condition. In addition to this, it has been discovered that it is very beneficial for when suffering from acne or the skin has a tendency to develop impurities such as pimples. The main reason is that it is a great antibacterial, which regulates hormonal activity and prevents an imbalance in the production of sebaceous glands. It also calms and deflates the swollen and reddened skin. Prepare an infusion of green tea; let it rest for a few minutes to cool and when ready, apply it on the areas with the help of a cotton disk. Another good option is to add 1 tablespoon of apple cider vinegar to this infusion to enhance its effects against pimples. « Does the Neurobion raise the pressure?